For project managers, tracking progress toward upcoming releases is crucial. 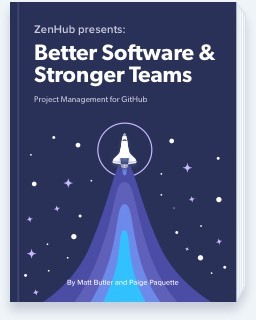 But when projects span several GitHub repos (as they often do), seeing the whole picture can be difficult. With Multi-Repo Burndown Charts, teams can track velocity across several repositories at once. Multi-Repo Boards are a simple way to track issues from several repositories in one place. Click here to learn how. Next, click the "Burndown" tab (or press d). The repos you've connected into your Multi-Repo Board will appear together here. You can check or uncheck repos to filter your Burndown Chart. Choose a Milestone from the drop-down filter on the right. 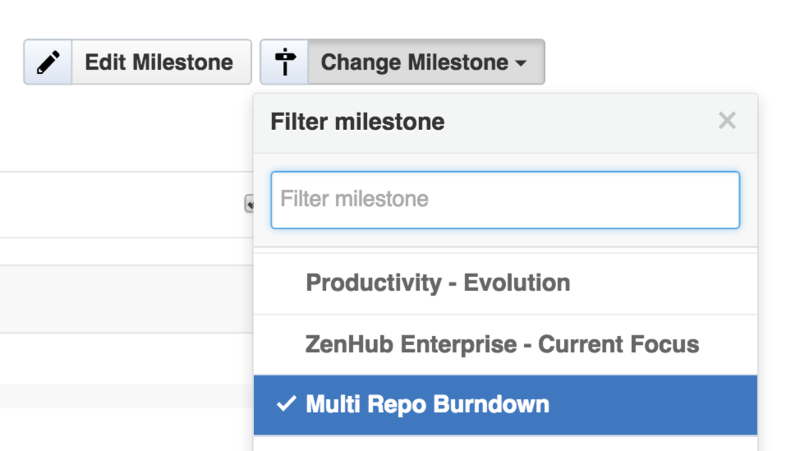 Just like on your Multi-Repo Board, two Milestones which have the same name and end date will appear as one in the Burndown Chart. After choosing a Milestone, all the issues which have been assigned an Estimate will appear on the Burndown Chart. You can see if you're on track to meet your release date! 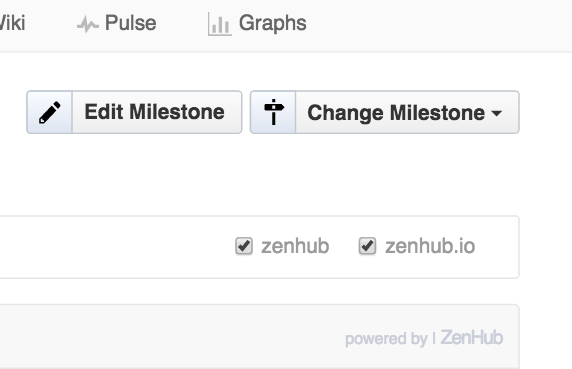 Want a refresher on ZenHub's Burndown Charts? Click here to learn more! Questions? Ideas? Shoot us an email or chat with us on Twitter!